First off a little about my Valentine’s Day. 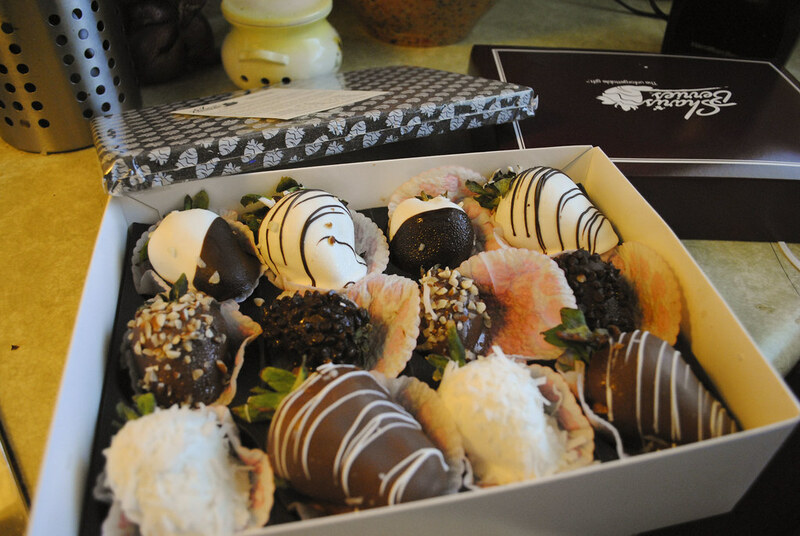 To start with Joshua’s present was from Shari’s Berries. The set he got included a dozen chocolate dipped berries, 9 chocolate dipped chocolate chip cookies, and 9 chocolate truffles. All this was suppose to show up on Friday the 12th because Saturday we would be gone all day, and Sunday they don’t deliver. Joshua paid $35.98 extra to make sure that order was guaranteed to be delivered on the 12th. It didn’t show up. Although their customer service is available Monday-Friday, Joshua was able to get on the phone with someone late Saturday afternoon to see what was going on. Turns out UPS never picked up the order. Instead they refunded the shipping, sent it out via Fedex and it showed up yesterday. Well, yesterday they only sent the berries; the cookies and truffles were missing. Joshua called today, and they are resending the entire order and it should be here by Friday. We shall see! Aside from the berry fiasco, I had a pretty chill Vday. We went to church and lunch with the family, and then hung out at the house till 5:30pm. During the afternoon Joshua watched Nascar while I worked on my mid-term project. At 6pm Joshua and I met up with my girls Amber, Abby, and Debbie at Chili’s for dinner. 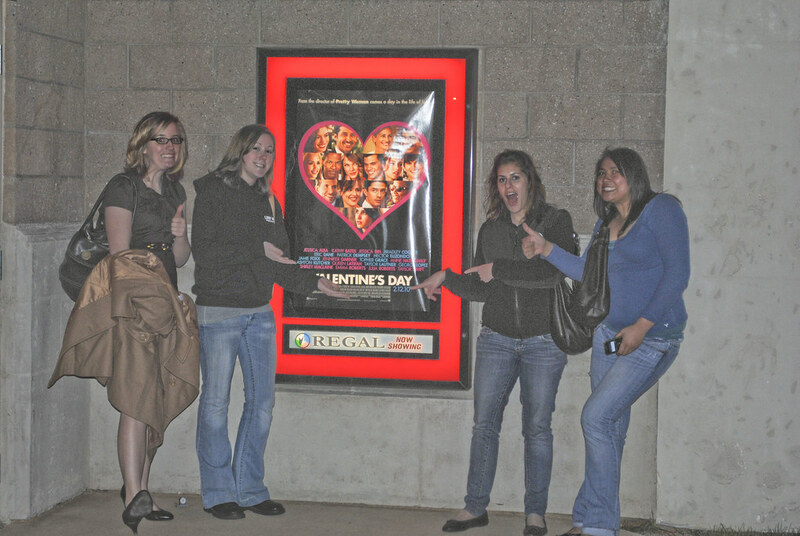 Because the wait was super long (about 45mins) we were forced to go see the movie Valentine’s Day at 8:45pm instead of 7:30pm as originally planned.